(AFP) – Jordan will execute Wednesday an Iraqi would-be suicide bomber on death row and other jihadists after having vowed to avenge the murder of a Jordanian pilot by Islamic State jihadists, an official said. “The sentence of death pending on… Iraqi Sajida al-Rishawi will be carried out at dawn,” the security official said on Tuesday, speaking on condition of anonymity. 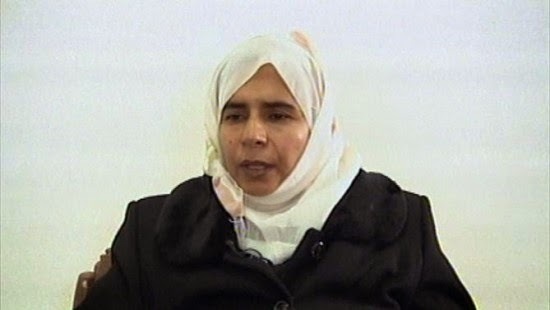 Rishawi, the would-be bomber, was condemned to death for her participation in deadly attacks in Amman in 2005, and IS had offered to spare the life of the Jordanian fighter pilot, Lieutenant Maaz al-Kassasbeh, if she were released. “The death sentence will be carried out on a group of jihadists, starting with Rishawi, as well as Iraqi Al-Qaeda operative Ziad Karbuli and others who attacked Jordan’s interests,” the security source said. “Jordan’s response will be earth-shattering,” Information Minister Mohammed Momani said earlier on television, while the army and government vowed to avenge the pilot’s murder. Good! It is about friggin' time they mean business again ISIS!